If there is seasonal pressure on rental agents to get units rented, it is often tempting to compromise on things like dog fee waivers, which is a guaranteed invitation for later problems. Landlords and apartment managers must always keep in mind, there’s a long-range goal, of protecting the property from expensive damages. Waiving a portion of a lease or rental agreement may entice a potential renter to sign, but the clauses of rental agreements are present to protect the Landlord. Sub-headings can directly link to specifics included in a rental agreement or lease. For example, under the heading of Civil Rights, laws address the Fair Housing Act, as it applies to service animals and their owners with disabilities. Even in multifamily housing and rental properties with “no-pet” policies, the Fair Housing Act allows for service animals to live with disabled persons, under the Civil Rights Act Amendments since 1989. The person must have some kind of disability. Service animals must serve a function beneficially related to that person’s disability, such as companionship for depression. Requests for the service animal’s accommodation must be considered reasonable to a civil court. Refusal to permit the exception to the “no pets” policy, or not waiving the pet security fee charges, may constitute a discriminatory practice against the disabled rental applicant. In most cases a rental agent is not allowed to consider tenant screening for a disability or even asking what type of disability, for consideration of their application. Service animals are not considered to be pets. Only in the case of a rental property where specific accommodations are provided for disabled people, are rental managers or Landlords allowed to ask questions specifically about disabilities. 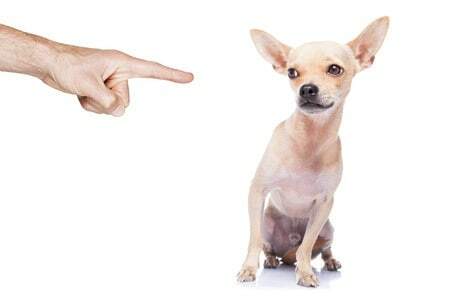 Outside of this provision, in terms of typical pets such as dogs, cats, birds or reptiles, etc., landlord forms are allowed to have questions about animal training, behaviors like barking, biting and property destruction. Typically, an applicants’ responses will be very positive and assuring, so it is critical that the apartment association, and Landlord, have already included the appropriate language and fees into the rental agreement and/or lease. Pets fees are lump sum or monthly charges, and cover replacement of carpeting, wall moldings and wood doors, or floors that can be clawed, scratched and damaged. It is strongly recommended that pet fees are high enough to concern pet owners to watch their pet’s behaviors, to qualify for a reimbursement. If apartment management imposes non-refundable pet fees, a resident is likely to be more lax about controlling their pet’s behaviors, as they feel they have already paid for any damage that may occur. Under the section about pet owner liability in the rental agreement, include a clause allowing rental agents to inspect the property on a regular basis. It has often happened that when cat owners, for example, vacate a property, and even after carpets and flooring are removed and replaced, the odor of cat urine is still present in the rental. The fore-knowledge that the residence will be checked for this sort of damage prepares pet owners to keep a close eye on what their animals do. There is a reliable deterrent for keeping renters discouraged from sneaking a pet into their “no pet” policy rental unit, or trying to avoid established fees for keeping a pet. Include a clause in the lease or rental agreement that states that a charge of $250.00 per pet, per month, will be backdated upon discovery of an undocumented pet in a rental unit. Savvy managers are alerted by constant loud music and pet videos when residents are not home.